Last weekend was so cold, and so wet. C had two soccer games -- one in Glenview, IL and the other home. And when he wasn't playing, he hung out in the basement. This, my friends, is our future. H on the other hand, refereed 11 soccer games. Here he is taking a break from the cold on Sunday. Brutal, but he'll be happy when he sees that check I'm sure. Decided to try something new in the planter by our patio. Instead of being purely decorative, this year, I’m trying a tea garden! 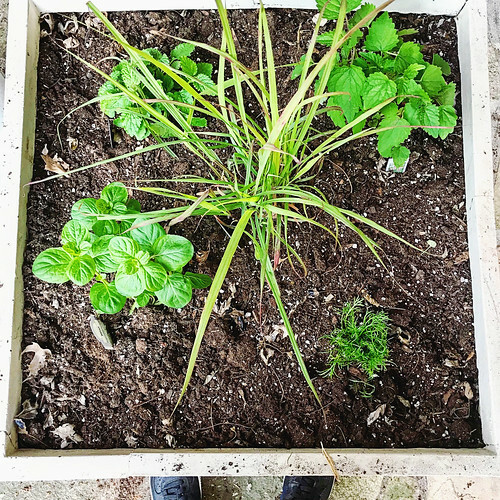 That planter box is loaded with orange mint, chamomile, anise hyssop, lemon balm and lemon grass. Another planter has peppermint. Can’t wait! Four years ago we brought Gretel home. 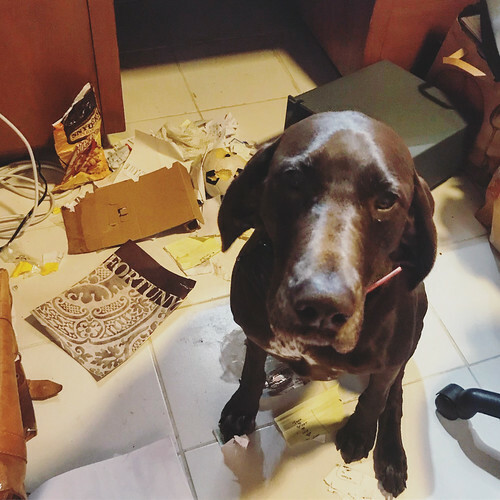 On the anniversary of that date I found her rummaging through the garbage downstairs. Still such a little stinker, but I guess we’ll keep her. 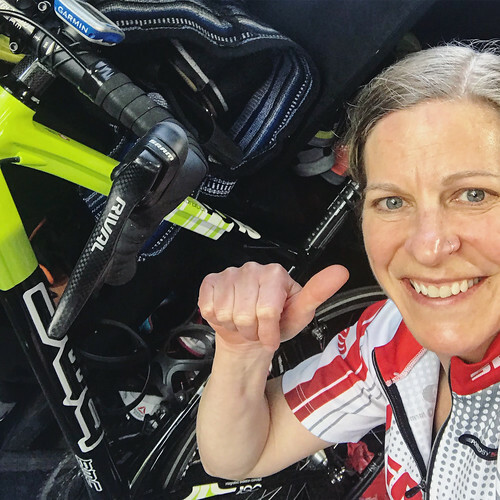 I had to meet someone at the gym and decided to take the ole road bike out for a spin top get there -- first time in four years, so the fact that it happened is a little crazy. Here’s the thing — I’m terrified of riding on the streets. And I’m not saying bike riding is my new favorite activity (because I still do not trust cars) but a couple things really stood out to me. First, even when I was riding regularly, never in a million years would I have had the courage to go out by myself. Second, while I definitely need to work on my bike legs, I felt so much stronger, more balanced, more agile and more confident than I ever had. I guess all this CrossFit and macro tracking is working for me.